Hope you are enjoying the lovely cool weather that we’ve been having!! 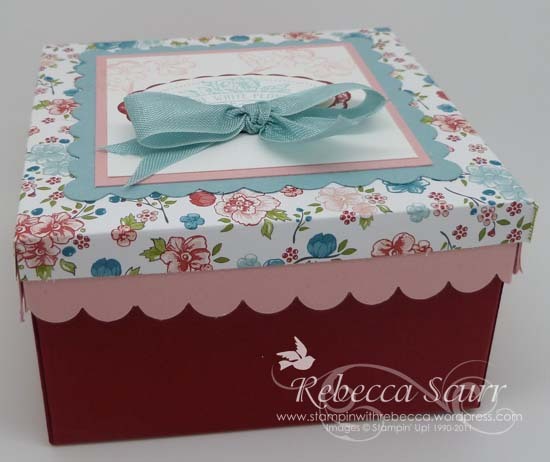 At last month’s Stamp Club, we made the cutest box and 3 little gift cards. 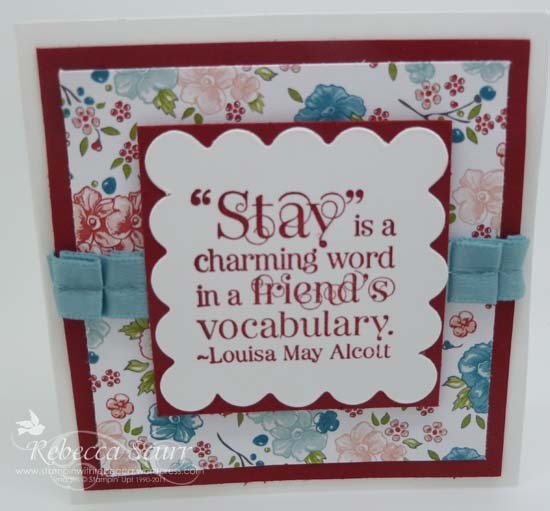 I used the 3 x 3 box tutorial from Splitcoast Stampers, click here for the link. We got to play with the new Simply Scored tool, which makes scoring for boxes so easy! I really like it! I just love the Twitterpated DSP. 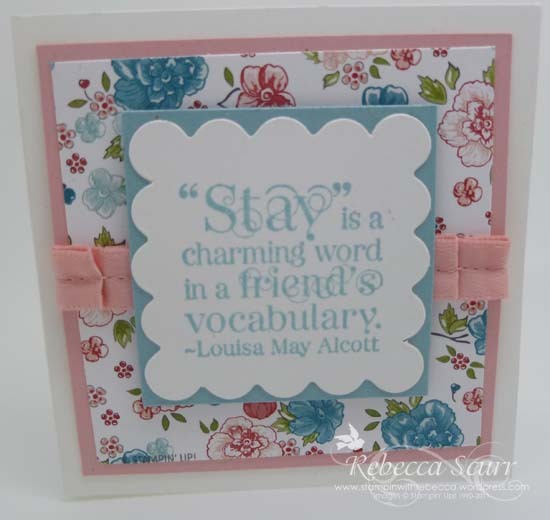 It’s so cute and I love the different sheets in the pack to give a different look. Here’s the cards. We also used the new Diagonal scoring plate to make matching little envelopes but I forgot to take a photo of one. 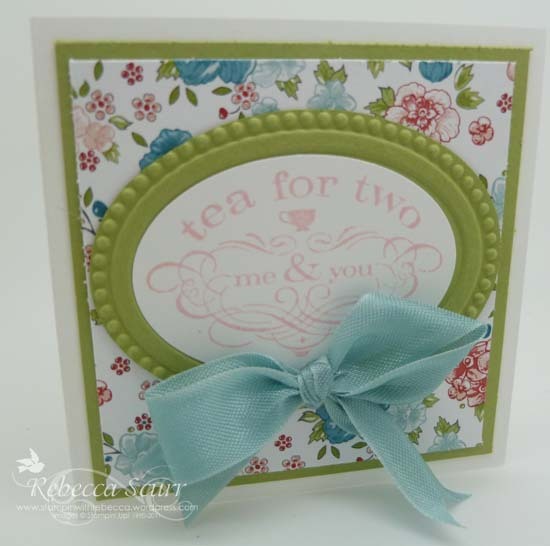 Paper: Twitterpated DSP, Whisper White, Pear Pizzazz, Baja Breeze, Blushing Bride, Riding Hood Red. 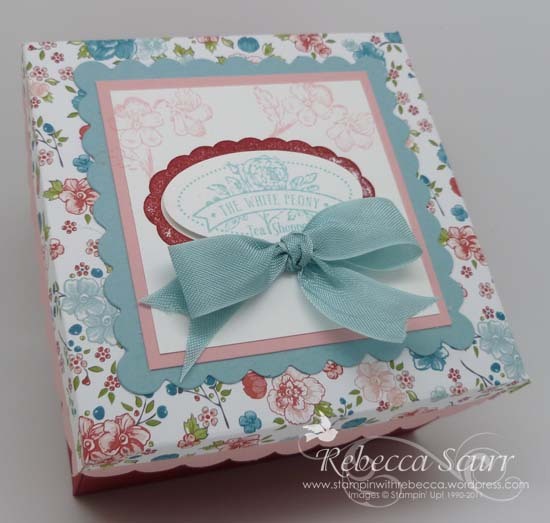 Accessories: Big Shot, Scallop Square Duo, Scallop Square, Ovals, Designer Frames embossing folder, Baja Breeze Seam Binding ribbon, Baja Breeze pleated satin ribbon, Blushing Bride pleated satin ribbon. « 11 June 2012 – Convention Wrap up!